Look at any newspaper and you’ll probably find something about medical ethics – abortion, assisted conception, euthanasia, transplants, cloning, stem cells. The list is endless. Medicine today is a hotbed of dilemmas and difficulties which bewilder individuals and challenge society. And touch all of us at some stage in our lives. The novels in this series are set in this world of moral choices but they are tales of passion, perplexity and crime that hold the reader spellbound. They are accessible and compelling, bringing ethics to life. And they are for anyone who likes to think as well as read. Thanks to an airline strike, Professor Jocelyn Grammaticus faces a whole day sitting on the 8.20 through train from Aberdeen to Penzance. The most difficult ethical choice of her life awaits her at the end of her journey, and she seeks respite from her internal conflict in preparing a keynote conference speech due the following week. Unwittingly her fellow passengers give her intriguing real-life material to illustrate her arguments as they flit in and out of Coach C. But four hours before she’s due to arrive at her destination a phonecall turns her world upside down. Will she have the moral courage to fulfill her promise? Will she be too late? Victor Grayson adores his 8-year-old daughter, India, so why does he vanish leaving only a neatly folded pile of clothes on a windy beach? India is devastated and bargains with God: I’ll stop eating chocolate if you send my Daddy back to me. Now 15 and seriously anorexic, she’s convinced that she heard his voice on a crowded London station, and sets out to track him down. Isolated and overwhelmed, her mother, Tonya, succumbs to gnawing doubts about the man she thought she knew. Who exactly was he? What dark secrets were haunting him? Could he be involved in the disappearance of three teenage girls? The revelation when it comes is much more challenging than Tonya ever dreamed of. This book will resonate with everyone who has ever agonized over their own body image or identity, and any parent who must learn to relinquish control to their child. “This is a very interesting novel, with an intelligent and thoughtful storyline and some well-crafted and believable characters. The subject matter covers many areas of body image, identity, gender and family relationships, in a very sympathetic way. The dynamics of family are well-portrayed and the prejudices, preconceptions and misconceptions we have about others, even those we are closest to, are well-drawn and feel authentic. “I couldn’t put this book down. India Grayson’s voice is totally authentic – to the point where the voice in my head was actually that of my teenage granddaughter and I found myself wondering if she was eating properly! Her attitudes and obsessive nature are conveyed brilliantly and for the first time I really felt that I understood the intractable nature of this dreadful illness. It’s not susceptible to logic or to reason and I had to smile when India said that obesity was the real problem and she was simply taking responsibility for her own health. 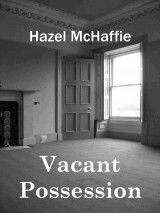 I liked that Hazel McHaffie never gives us details of India’s height and weight. I’d love every teenager who worries about their body image to read this book and the lack of specific figures means that there’s no quick get out of ‘I weigh far more than her – so I’m OK to continue starving myself’. An appropriate weight is personal to each individual. Tonya Grayson’s voice resonated with me too – and will with anyone who has ever tried to reason with a determined teenager. She’s saying all the right words, adopting all the right attitudes, but India is still losing weight. Neatly included are all the signs to look for, even down to the smell of disinfectant around the toilet or too regular use of mouthwash which might suggest vomiting. McHaffie has trained as a nurse and a midwife and has a PhD in Social Sciences. She knows what she’s talking about, but more importantly she can write a compelling story which brings out the seriousness of an illness such as anorexia in a totally believable way. There’s a fascinating look at the question of when a child is competent to make decisions about her own health. Do parents really know better than their children? Are children necessarily wrong because their view doesn’t accord with that of their parents or doctors? Carole Beacham is in her mid-sixties and planning to leave her husband. Before she can do so her daughter, Elvira, and two little granddaughters are involved in a fatal road traffic accident. Then a stranger appears in the Intensive Care Unit claiming to be Elvira’s boyfriend, insisting Elvira wanted to donate her organs. But Carole has her own reasons for rejecting such a possibility: a dark family secret which has been hidden for thirty years. She’s torn in two, but gradually her need to respect Elvira’s wishes overcomes her fear, and the transplants go ahead. Letters from grateful recipients bring comfort and Carole’s dread recedes. The barriers created to safeguard anonymity start to slip. A troubling communication from a publishing firm … a moving poem from a teenager … an ambitious would-be journalist … and the family’s peace is in grave danger. Over my Dead Body can be bought through all good booksellers, The Book Depository (free worldwide delivery), or Amazon (click on the logos). Dr Justin Blaydon-Green is used to controversy and challenge – he’s the Director of The Pemberton Centre for Reproductive Medicine. Things are going well for him. His team are strong, success rates are increasing, they’ve never been more in demand. Then disaster strikes. In the middle of all this unrest, Yasmeen and Karim Zair arrive seeking a controversial treatment. They have a 4-year old son, Sebastian, who has an incurable blood disorder. His only hope lies in stem cells from a matched donor – a saviour sibling. But will the gatekeepers allow it? The team are in meltdown. The senior embryologist in charge of the internal inquiry is incensed at the waste of his precious research time, and upsetting his colleagues. One of the lab technicians is behaving suspiciously. Staff begin mysteriously leaving. The authorities lean more heavily. A newspaper reporter starts sniffing around. Justin’s own daughter gets mixed up with some militant pro-life campaigners. Just how far will everyone go to get what they want? Saving Sebastian can also be bought through all good booksellers, The Book Depository (free worldwide delivery), or Amazon (click on the logos). It was during the Second World War that Doris Mannering made the choice that changed the course of her family’s life. She has kept the evidence of her actions hidden for sixty years but now the secret is in danger of being revealed with untold consequences. For, with the onset of Alzheimer’s, her mind is wandering. She is haunted by the feeling that she must find the papers before it’s too late, but where did she put them? When she eventually goes into residential care they are still not found. Jessica is driven to despair by her mother’s endless searching, so once Doris is safe in the home, it’s a relief to be able to set about methodically clearing the house. But she is unprepared for the bittersweet memories she unravels and the growing realisation that Doris knew she was slipping away from reality. Her son, James, and her lawyer lover, Aaron, offer support and encouragement until Aaron reveals a deception which casts doubt on everything she has always believed in. This is a tale of triumph over adversity, of love and loyalty, and tenderness regained. 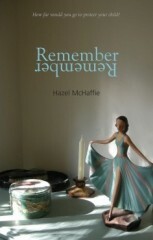 Remember Remember can also be bought through all good booksellers, The Book Depository (free worldwide delivery), or Amazon (click on the logos). Adam O’Neill is thirty-eight, a successful and ambitious writer and journalist, widely acclaimed for his pithy exposés and thoughtful features. When he discovers he has Motor Neurone Disease he starts to keep a computer diary to help him track his loss of control and choose the time and manner of his death. Through its pages the reader learns of his inner struggle and changing priorities. When is the time right for his exit? Who will help him? Does he have to consider his wife’s interests or his mother’s scruples? Trapped in a body that increasingly refuses to obey him, his mind remains alert and he devises a plan for himself – but three women, a doctor, and a peasant farmer have other ideas. Tensions and suspicions intensify, but unknown to Adam, his wife carries her own burden, a haunting secret that could jeopardize what little time they have left together. This moving story compels the reader to look at the current anomalies in the law which force patients, families and doctors into agonizing situations. 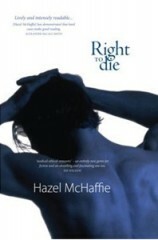 Right to Die can also be bought through all good booksellers, The Book Depository (free worldwide delivery), or Amazon (click on the logos). Vivienne Faraday has been in a persistent vegetative state, looked after in a Home, for years. How can she suddenly be pregnant? 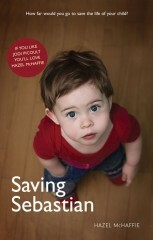 Who should decide what happens to her unborn child? What is in her best interests? She cannot speak for herself. Her family, the medical team who care for her, the police investigating the crime, all have different interests, values and opinions on the best way forward. 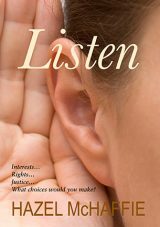 When Geoff Archibald receives anonymous letters saying his wife, who lies insentient in the room next to Viv, has also been molested, he has his own reasons for keeping the matter quiet. But events gather a momentum of their own; DNA tests unearth secrets; suspects reveal information; families face truths which challenge the rights of individuals to choose what happens to those closest to them. This thrilling tale of crime and passion takes the reader into a twilight world where the unconscious patient becomes a pawn in a game, where other people must make medical and moral choices on her behalf, choices beset with uncertainty but nevertheless profoundly affecting their own relationships and futures. The Halleys are a close, successful, loving family. 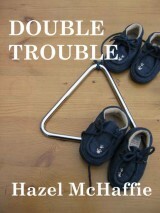 But when identical twins, Nicholas and Michael, fall in love with the same girl, tensions arise across two generations. Relationships become increasingly complex when the twins marry, and darker secrets and hidden emotions are revealed when an unplanned pregnancy and a surrogacy arrangement lead to discoveries which challenge their moral values and jeopardize their happiness. This gripping story probes beneath society’s superficial acceptance of fertility treatment, revealing the potential for pain, distorted relationships, and far-reaching consequences, both medical and moral. Declan Robertson is instantly drawn to Judy Burrows when he meets her by chance on a railway station. When she agrees to marry him his happiness is complete. But from the first night of their marriage cracks appear in their relationship which threaten his peace of mind. It takes time and patience but eventually she reveals information about the demons which haunt her. Just when things are starting to settle down for them tragedy strikes: a child dies. The questions which follow unravel a past which rocks their security to its foundations. Who are they? What have they inherited? What are they passing on to future generations? This intriguing story of love and deception challenges the morality of what is done in the name of infertility treatment today and exposes dilemmas and conflicts which society must address.